Place peeled green prawns in a small bowl with Life's Good Red Curry Paste. Toss thoroughly until prawns have an even coating of paste. Allow to marinate for 10-15 minutes. Preheat wok or BBQ hotplate until hot. 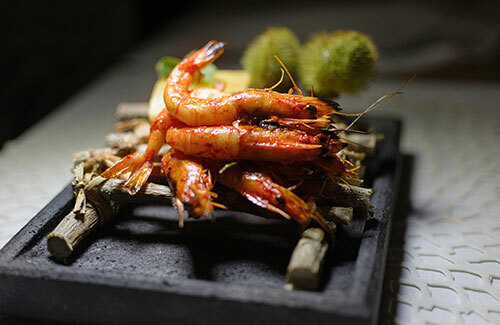 Cook prawns quickly on high heat until they have just turned solid white colour. Divide mixed salad into 4 bowls (1 cup of salad per bowl). Scatter prawns over salad leaves and garnish with a splash of fish sauce and lime juice to taste. The juice of the cooked prawns combined with the fish sauce and lime juice will dress the salad perfectly. TIP! This recipe is also fantastic using thin strips of chicken or pork instead of prawns.